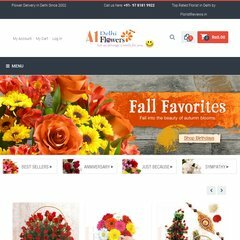 Topics: Flowers, Roses, Mix Flowers, Best Sellers, Carnation, and Gerbera. 73 users visit the site each day, each viewing 2.60 pages. It is hosted by Admin Wallsthost.com (South India, Hyderabad,) using Apache/2 web server. It has 2 DNS records, ns4.a1indiagroup.in, and ns3.a1indiagroup.in. It is written for PHP/5.2.17 language.